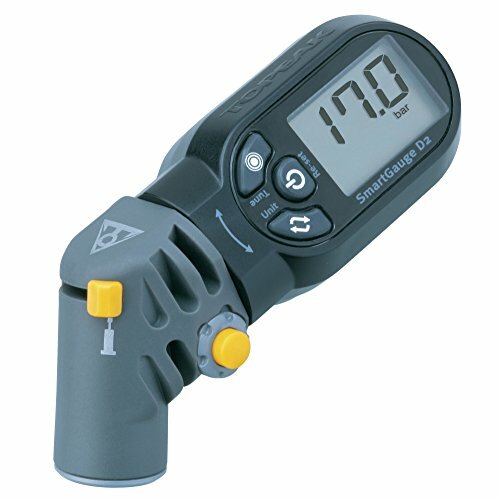 Precision digital gauge reads up to 250 psi / 17 bar and is designed for use with tires, suspension forks and rear shock units. LCD display can be programmed to show pressure in psi, Bar. Works seamlessly with Presta and Schrader valves without changing parts. Size (L x W x H) 10.2 x 4.5 x 3.5 cm/4" x 1.8" x 1.4"